If you click 'Find out more' then you will be able to read more. 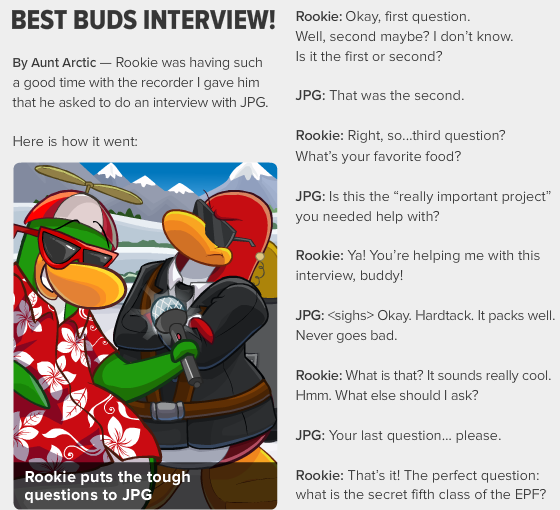 Then Rookie and Jet Pack Guy have a interview. 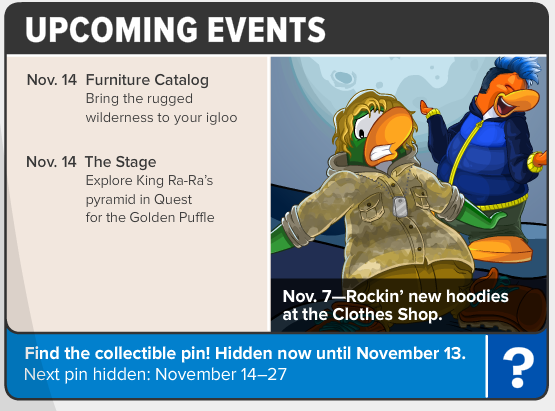 Then there are some pretty cool upcoming events! 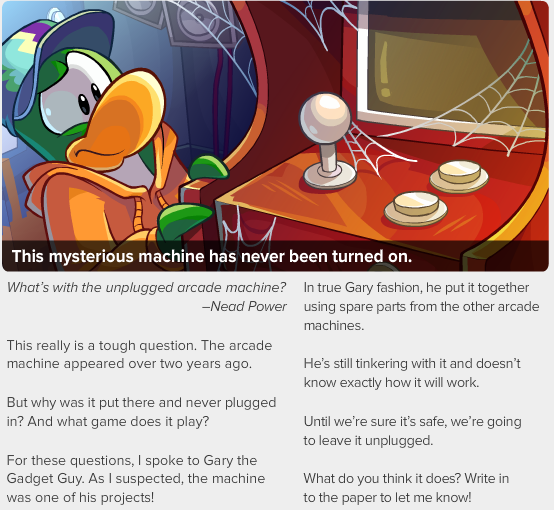 Then on the 2nd page Aunt Arctic talks about why a machine in the arcade has never been turned on. 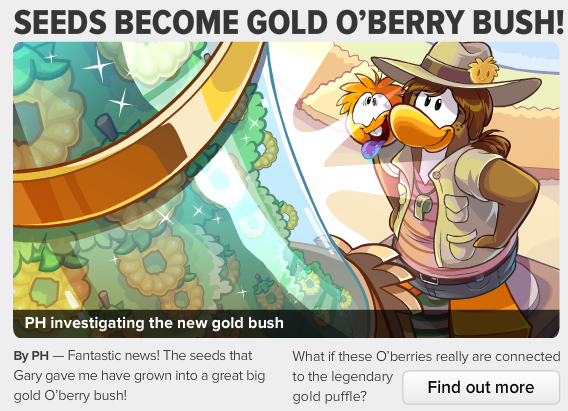 Also this weeks secret is about hidden puffles! 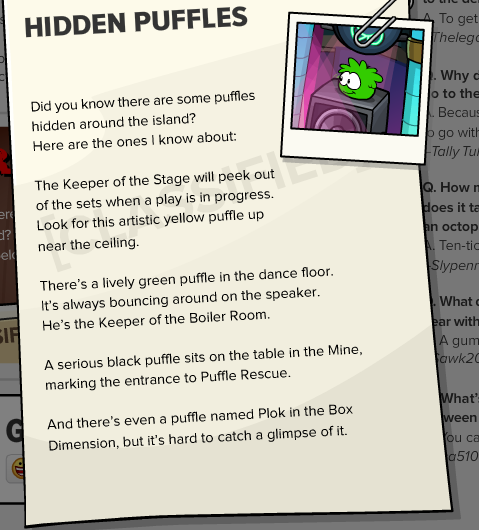 I really enjoyed reading about the hidden puffles! What was your favorite part? Tell us in the comments below!